Ladbrokes plc, the London-quoted betting and gaming group, has announced encouraging figures for its overall activities, including good progress in its leading poker product. Ladbrokes' discussions with 888 Holdings plc about a possible merger are continuing. "2006 has been a good year for Ladbrokes plc. In its first year following the sale of Hilton International in February 2006, management has successfully established Ladbrokes as a market leading, standalone betting and gaming company, in which profitability for continuing operations increased by 7.7%. We have also made substantial progress in furthering our international ambitions during 2006, which the Board is confident will create shareholder value in future years. "As you are aware, we commenced discussions with 888 last November. These discussions continue and are complex because of the current conditions in the US. We will update the market as and when appropriate." In its outlook statement, Ladrokes says that the "rapidly changing global marketplace" in which it operates presents them with an increasing number of opportunities for growth. Consequently, Ladbrokes says it will continue to search for "investment opportunities that enhance shareholder value, as typified by 888, Italy and Spain." In the Chief Executive, Christopher Bell's statement, he said that eGaming grew operating profit by 13.5% and Sportsbook, Casino and Games channels all showed strong double digit growth during 2006. Sportsbook performed particularly well due to the World Cup and other major sporting events. However, Poker saw "fierce competition" during most of 2006, particularly from the "state monopoly initiated" poker site in Sweden, which is Ladbrokes' second largest poker market. Despite this, the CEO says that Ladbrokes Poker has shown improvement in recent months, driven by the introduction of player points and offline marketing investment. The financials in poker in 2006 showed that "Poker gross win" declined by 2.7% to £40,300,000. Despite this, average monthly active player days for the year grew by 12% to 461,000, with unique active players up 20% and yield per unique active player down 26% to £227. Improvements were seen in the fourth quarter following the release of new software and the launch of player points, with sign ups 39% higher than the third quarter and average monthly active player days up 16%. 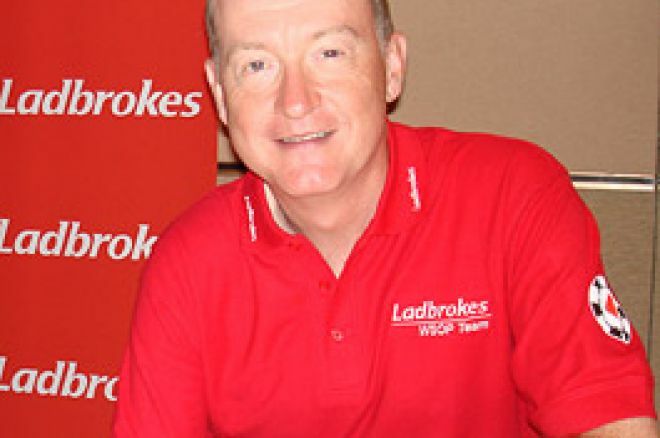 With regard to the upheavals in the industry caused by the US clampdowns in gaming law, Ladbrokes says its policy has always been to "rigorously prohibit US based customers" and because of this Ladbrokes was "therefore unaffected by the passing of the Unlawful Internet Gambling Enforcement Act in the US during October 2006." "Our aim in eGaming is for growth through product innovation and geographical expansion. The continued popularity of our eGaming sites overseas indicates the international appeal of the Ladbrokes brand and the growing interest in betting and gaming across the globe." Ladbrokes also states that its newly-opened "Ladbrokes Casino and Sports Bar" at London's Paddington Hilton is now 100% owned after buying out its joint venture partner for £11,100,000 in January 2007. Ladbrokes sees the casino as "an attractive and innovative proposition" which it believes will position it well in its tenders for Manchester and several of the other 16 new UK casinos."